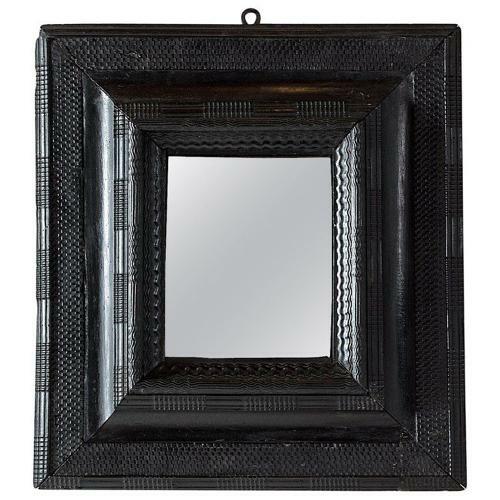 An original 17th century ripple molded combination profile cabinet mirror, Flanders, circa 1650. The mirror plate very old and spotty possibly original to the piece. An important piece of great patina, elegance and visual impact. Old, forged iron hook. H 23.63 in. x W 21.66 in. x D 1.97 in.